Beebay presents comfortable ruffled sleeves dress for girls. 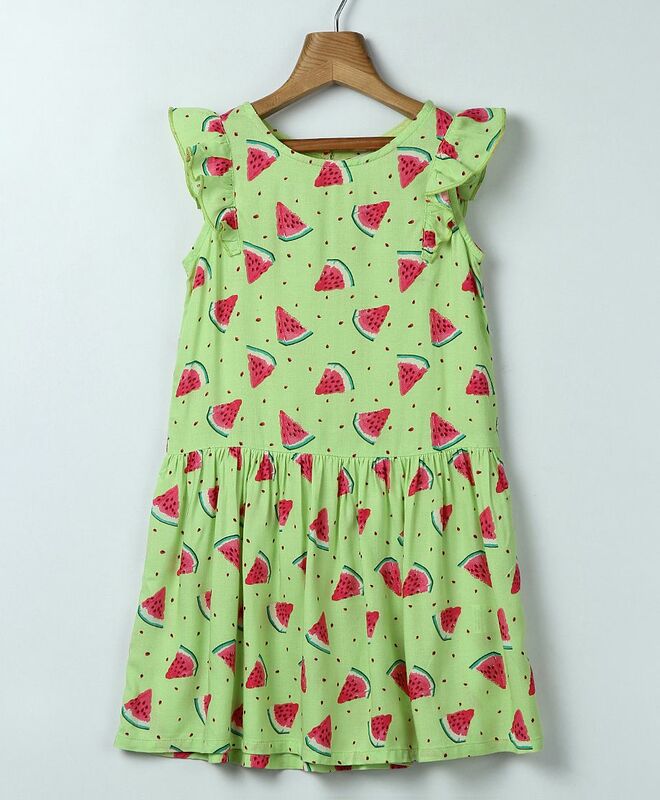 Cute Watermelon print makes it look attractive. Made from soft 100% Cotton fabric, this regular-fit frock has a front button closure. Styling Tip: Pair this dress with sandals and hair band.